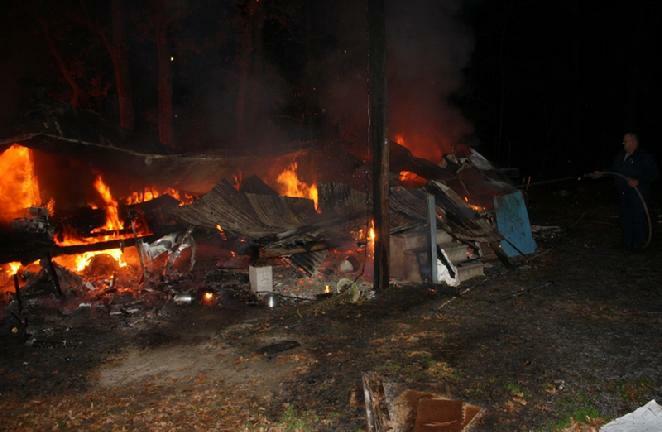 Fire Levels Home, MOSCOW, January 3, 2012 - At approximately 12:30 am on January 3, 2012, a house fire was reported. 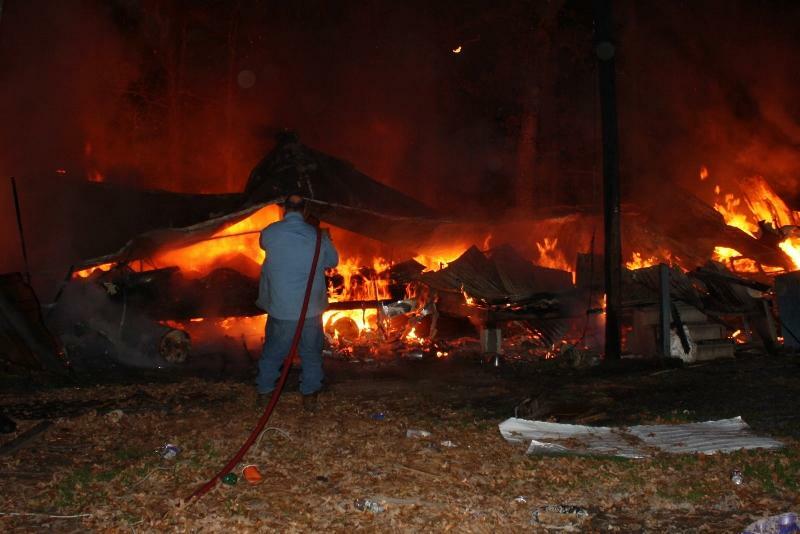 The Corrigan Volunteer Fire Department arrived at 18237 Highway 59 (south-bound side) to find a house fully involved. 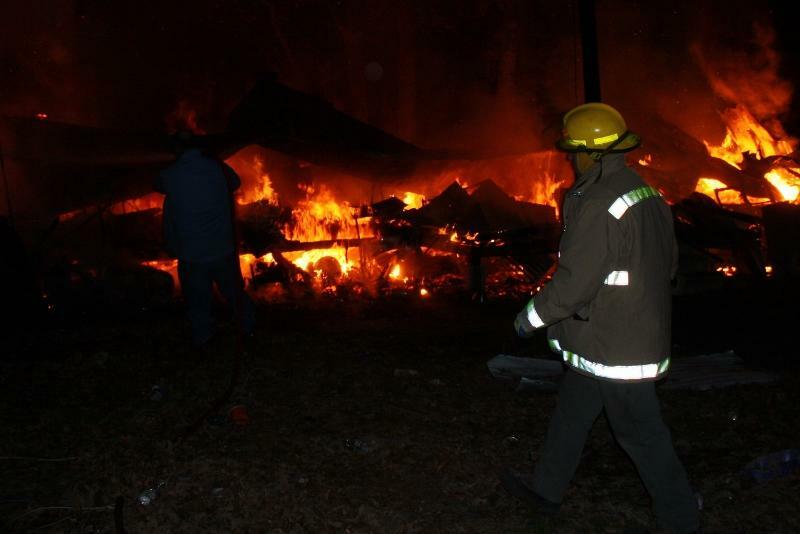 A handful of Corrigan Volunteer Firemen tried but the house was too far gone as the roof was completely collapsed and the remains of the house burned. Sergeant William Jerry with the Polk County Sheriff's Office was dispatched and conducted a preliminary investigation. The home was owned by Dannie Clyde Moore, 49, of Moscow. Moore did not have insurance, and everything he owned was in the house when it burned down. Moore Sustained burns on both of his hands, arms, and right leg and was treated by EMS Personnel from Americare Ambulance Service. The scene was cleared shortly after 2 am. The cause of the fire is not known at this time. The case has been turned over to Polk County Fire Marshall, Jay Barbee. By time the PolkCountyToday.com cameras arrived in Moscow, the roof had already collapsed.